An incredible collaboration with The Queen Stitch & Asylum Fibers to bring you a masterpiece and limited edition kit. I have followed Amy of Noble Character Crafts since about the week I joined Instagram. I have always been enamored by her use of color and attention to every detail for her afghans. The girl has skills. I have also gotten to know her a bit over time and found she's also incredibly kind, thoughtful and inspiring. So when she messaged me to invite me to be part of a big collaboration project, it took me all of about two seconds to respond YES!! Amy was collecting unique hand knit and hand crochet squares from several makers on Instagram. We were all given free range to make whatever kind of square we want as long as 1) we used machine wash fiber and 2) the color scheme had to be cream and grey. Sounds amazing! At first I overwhelmed myself with how much artistically I could do in a 7" square. I knit it. I crocheted it. I did a few variations of both. But in the end I took myself back to basics and remembered the simplicity of my very favorite stitch combo isn't really intricate at all. So I took some of my fave washable acrylic from Universal Yarn and made a square that inspired me. At the beginning of 2017 I had seen a project involving a few makers that collaborated together to create a super scarf. One maker made the scarf, another added an embellishment, and each one passed it on to the next adding their own special touch. I was so inspired when I saw that project, that I wanted to be a part of something similar, but even bigger and involving a lot more of the amazingly talented makers I had had the privilege of getting to know on Instagram. I have always loved creating afghans and seem to always have at least one in the making at all times. Granny square afghans are probably my favorite, so I had the idea to create a masterpiece involving 48 makers and 48 squares, and the vision for the 2017 Collaboration Afghan was born! I asked each maker to send me a 7" square, either knitted or crocheted, in the pattern of his/her choice. We used a neutral color palette of grays and creams to tie everything together, while still showcasing each maker's individual style in his/her design. 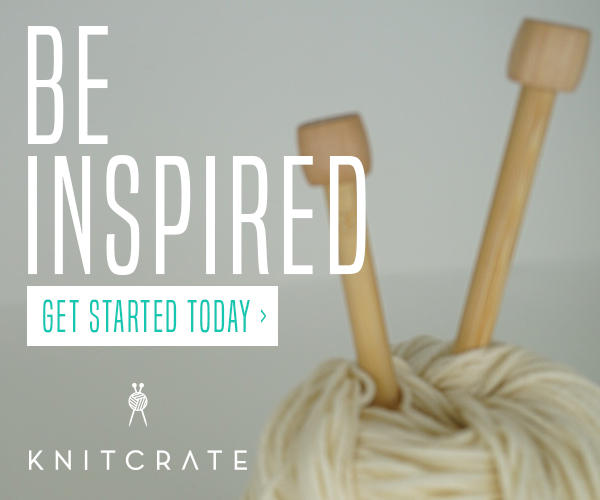 It was so hard to choose which makers to invite to be a part of this collaboration with so many gifted knitters and crocheters out there. Our team of contributors varies from those that simply make for the love of creating, to those who rely on their handmade business for a source of income. Stretching all over the US, Canada, and the U.K., our experiences range from those that have only been stitching for a few years to those that can't remember not stitching. 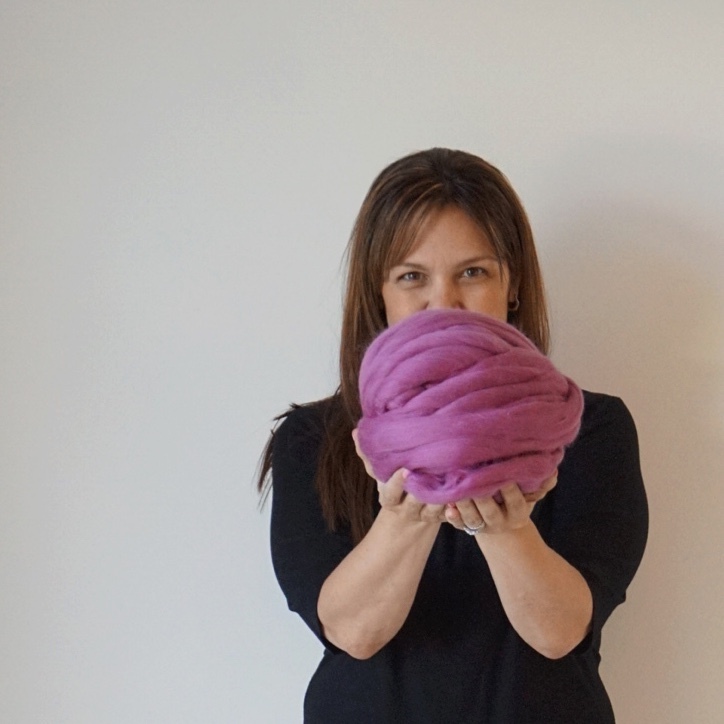 Our various backgrounds, demographics, and personalities couldn't be more different, but this one thing unites us...the love of creating beautiful things with yarn, hooks, and needles. Each of the makers are people that I have been so honored and thankful to get to know, learn from, and collaborate with for this project that strives to put community over competition. I am so honored Amy invited me to be part of this project. I Loved seeing all the posts on Instagram as various squares were created and Amy would often share when they would arrive. See all the Collaboration Afghan posts here. The finished blanket is more magical than I could have imagined. A true work of art and One Of A Kind. And you can enter to win it here. I read an article in the Huffington Post last December about a group of knitters and crocheters yarn bombing with purpose. Not just for art, but #ChaseTheChill group leaves hats and scarves and much needed items for the homeless in cold areas. This article spoke to me. I have already partnered my business with Halos of Hope and believe the purpose it gave my small handmade business means so much. But this struck a personal note. I have actually been homeless in my life. More than once. I know that the gift of warmth on cold nights has more value than most realize. I also know the value in knowing people out there care. I felt moved. But I am just a gal with yarn who lives in a small rural town. Wasn't gonna let that stop me. I reached out to my social media network on Facebook to see if anyone wanted to help and the response was overwhelming. So many people wanted to help share the love and share the cozy - we named the program Share The Cozy and that is just what we did. I am so honored to know so many people who wanted to be part of this campaign and share love and warmth. And some who were not in an area with need, decided to donate so we set up a way to buy hats and scarves for the Homeless Campaign here. So many people coming to be part of this restored my belief that this is what it is about: community, humanity, we need to care about each other in the ways that we can. Here are just a few of the stories from those who helped me make this happen. My friend Alissa, who helped me launch the campaign spent days not just hanging scarves but meeting and handing them to the homeless in Denver and New Mexico. My friend Jordan helped share the cozy in snowy Idaho. 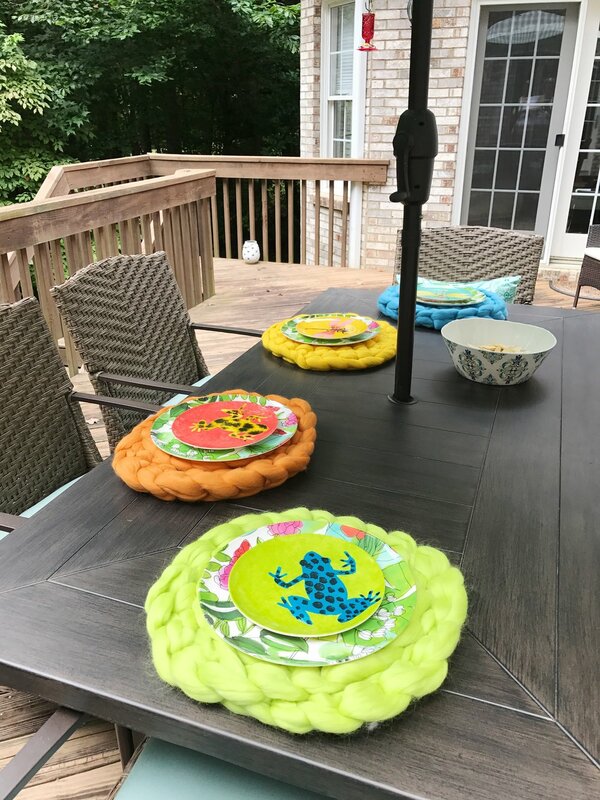 I became involved in Michele's "Share The Cozy" campaign after seeing the campaign take place in other cities around the US on Facebook and social media. I knew I immediately wanted to become involved. Michele graciously sent me a package of her beautiful handmade hats, scarves, and neck warmers to hand out to the homeless in my area. Living in Boston, our winters can be brutal, and I knew immediately her creations would be put to excellent use by those who need them. The same day I received her package, I tagged the items, and took the train to downtown Boston. Ironically, it started to snow that same day, and by the time I got to Boston (that evening), it was bitter cold with snow barreling down. I found about ten homeless people in the span of an hour or so and handed out the soft creations. They were so thankful and couldn't believe it! Some of the homeless were sleeping outside, so I put a homemade hat next to where they were sleeping. Hopefully they woke up to a nice surprise! When Michele posted about the Cozy Campaign I was so thrilled to be a part of it! I knew that I would be taking some of the hats and scarves to a local abused women's shelter, but I wanted to also take some to The Pacific Garden Mission. My husband has been telling me about this mission for years because it is close to his work. My husband was happy to be able to share some warmth with the people who need it most. We both were so very happy to see that a gentleman was already starting to take a hat before he was even finished putting them around. THANK YOU AGAIN TO EVERYONE WHO HELPED MAKE THIS HAPPEN!!! We plan to do it again every winter, as long as we can. You can get involved here. or make a donation specifically to this program here. See where you can have an impact in your own community. It could change a life. See all the handmade cozy and love that was distributed here. I was so excited when We Are Knitters wanted to collaborate on a blanket pattern. I mean just the thought of all that chunky squishy wool made my heart pitter patter with cozy vibes. I retreated to my cozy corner with this big basket of squishy and started creating. First I had to decide to Knit or to crochet? It was not an easy choice. I have wanted to knit a throw for quite a while as my knitting skills keep expanding. I see so many wonderful inspiring designs on instagram that give me so many ideas. So it was a tough decision. But this blue they sent reminded me so much of the rich tropical ocean like when I was in St. Thomas, that it inspired me to do an open crochet variation of "shells" throw. It inspired me to create something I imagined I would use while on the beach bungalow deck when I was there not too long ago. Truly making this blanket brought me back to those wonderful breezy nights and ocean waves crashing behind the bungalow. The yarn worked up so well for this pattern, no frogging involved! It just flowed which is another sign it was meant to be a crochet blanket. I could not be more thrilled with the final outcome. You can get the free pattern here. And you can enter below to win all the yarn to make your own! 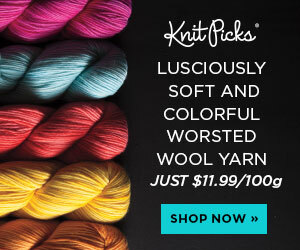 Yup - that is right: We Are Knitters will send you all the yarn you need to make this blanket in the color of your choice. Enter below. Disclosure: we are knitters sent me this yarn free of charge for the purpose of this pattern collaboration and giveaway. Although this is sponsored content, opinions and review and design are completely my own.